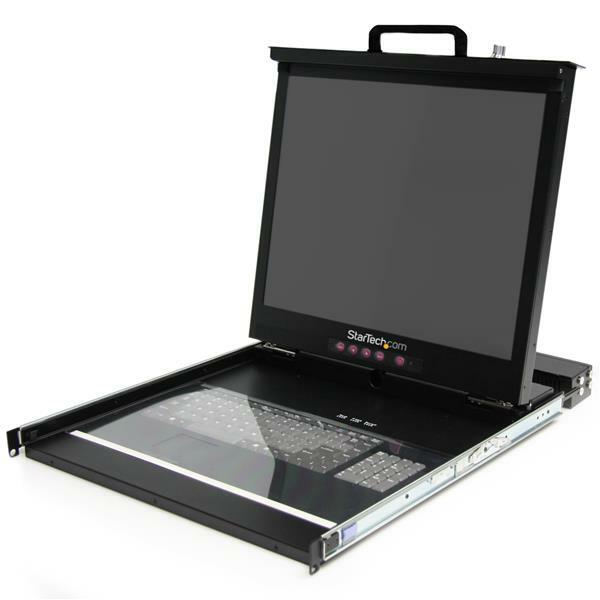 The RACKCONS1916 1U Rackmount LCD Console features an integrated 16 Port Multi-Platform KVM Switch module, 19in active matrix LCD monitor, full 106-key keyboard and mouse touchpad neatly combined into 1U of space in any standard rack or cabinet 30in (or greater) in depth. 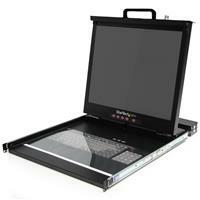 The KVM console offers a design similar to that of a rack-mounted laptop computer - when the console is not in use, it's as simple as folding the LCD display and keyboard/mouse up and sliding it back into the server rack on the sturdy mounting rails (included). A highly-scalable server control solution, each KVM console/switch module can control up to 136 computers by cascading 8 additional kvm switches. 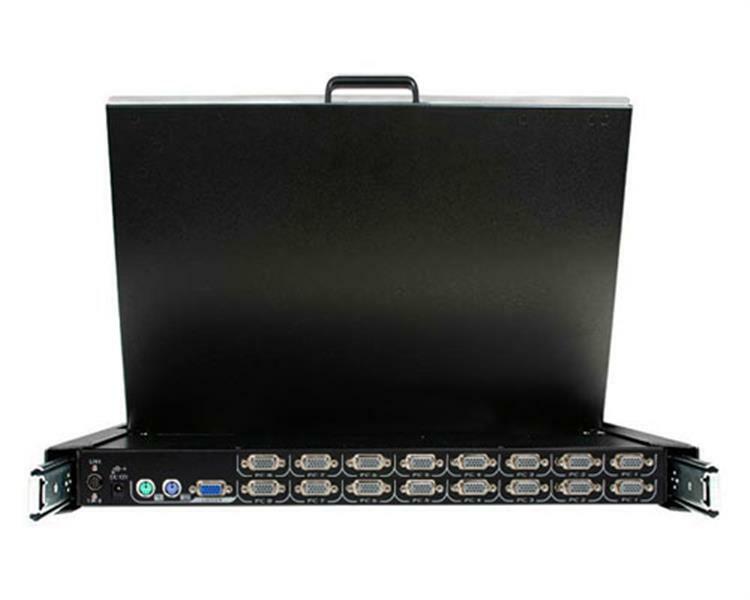 For added versatility, the console is compatible with virtually any existing KVM switch as well as with most PC, Mac and Sun servers/systems.